Last month, as part of the Al!ve/Better Impact hybrid conference, I and three other inspiring presenters had the chance to explore the topic of how volunteer engagement professionals can “lead the way” instead of “managing the day.” If volunteer engagement is going to truly serve as a strategy to achieve mission, then the coordinators, managers, and directors of engagement need to move above the daily “tyranny of the urgent” and actively participate in strategy and planning level discussions at the organization. There’s no better example of the “tyranny of the urgent” than a natural disaster. As anyone who has experienced a flood, tornado, hurricane, or – as many colleagues are currently battling in California – raging wildfires knows, we are working day to day or, perhaps, hour to hour, even if we had years of planning behind those actions. 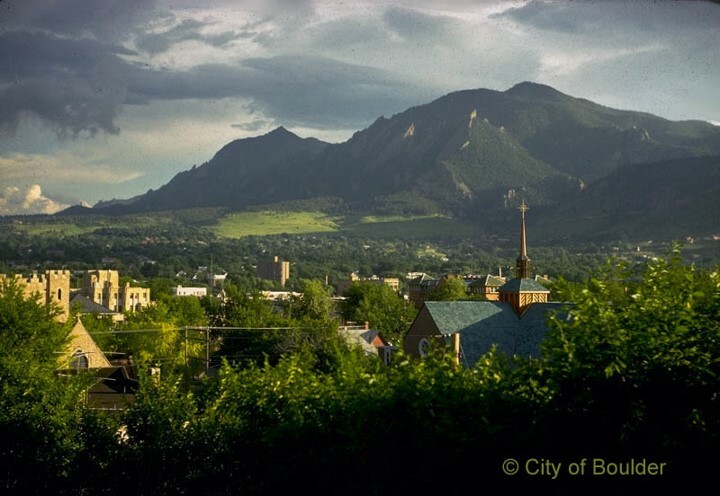 Yet crises can help inform our future, as well, as occurred with the City of Boulder. Boulder, Colorado is nestled in the foothills of the Rocky Mountains. Like many cities, Boulder had volunteer programs in many of the city agencies – from libraries to parks & recreation. That worked well for the city, or so they thought, until everything changed over the course of one week in September 2013, when Boulder experienced unprecedented rain. The resulting flooding was catastrophic, destroying 1500 homes, rendering roads impassable, and killing eight people. As the rains were still falling, Boulder residents stepped up to volunteer – as did thousands arriving from far off states. But, the city – while it was a model of excellence in emergency management coordination with first responders – had no system to coordinate the armies of well-intentioned volunteers. As the flood waters receded, the city quickly identified a volunteer engagement strategy as a priority in the resiliency plan and for the city overall. They also recognized that having a strategy can only go so far. Truly implementing the strategy would require a culture shift – all agencies (not just libraries and parks) would need to be on board. And, to do so, they needed the right person – not just a manager, but a leader! Fortunately, Aimee Kane, who already worked in the City’s HR Department, was the right person for the job. When Aimee reflects on what has helped the City shift from volunteers being something nice-to-have to, instead, engaging volunteers as vital to their resiliency plan, she identified sets of activities that have been vital. She created a Volunteer Cooperative, comprised of existing volunteer coordinators, as well as creating a “Guiding Coalition” which was larger and included others, such as the Police and Fire Chiefs, who have volunteers in their departments and whose leadership would be important down the road. Their involvement in the guiding coalition helped to build support and buy-in for future changes. The Volunteer Cooperative co-developed a Strategic Plan for Volunteer Engagement and, as a result, had a collaborative plan of action and goals. That, in turn, demonstrated to leadership that volunteer engagement professionals had their act together and provided a blueprint for leaders to prioritize their work in support of the plan. The City also sought – and achieved – Service Enterprise Certification, which included extensive training for staff, an in-depth diagnostic to inform their planning and investments, as well as tools and best practices to draw upon as they built an infrastructure of city-wide volunteer engagement. To keep momentum going, the Volunteer Cooperative ensured that each Volunteer Cooperative member took on project management for at least one project on the strategic plan. Not only did this keep in manageable for Aimee as the overall lead, but it embedded the work into everyone’s plans. Today, the City is investing in engagement in many ways – including a new state of the art customized CRM system. Additionally, the police chief and others are sitting in on meetings and thinking about how to engage citizens in their work, and the city is more prepared than ever to face whatever changing conditions come along – whether more rain, economic challenges, or others. To learn more about the City’s efforts and these four steps in detail, read “Boulder, Colorado’s Flood of Change” in the recent issue of e-Volunteerism Journal.